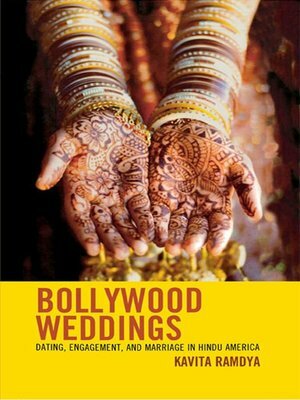 Bollywood Weddings examines how middle to upper class second-generation Indian-American Hindus negotiate wedding rituals, including the dating and engagement processes. Many of these couples are (in Ramdya's neologism) 'occasional Hindus' who display their Hindu religious background only on important occasions such as the rite of passage that is marriage. These couples (and their extended families) negotiate two vastly different cultures and sets of values inside a community that has itself largely pre-determined how to mix American and Indian/Hindu elements into this ritual. As a rule, the first generation organizes the wedding, which is largely Hindu, and their children coordinate the American-style reception. Instead of choosing either India or America, or arriving at a compromise in between the two, this community takes a 'both/and' approach, embracing both cultures simultaneously. Ramdya's ethnographic fieldwork includes in-depth interviews of engaged couples, observation at their wedding ceremonies, wedding videography and photography, and material culture such as the clothing her participants wore on their wedding day. She explores pre-wedding day topics such as America's Indian-Hindu marriage market and bridal industry, then goes on to describe pre-wedding and wedding-day customs including the engagement party, kanyadan, and baraat. Bollywood, whose Indian origins grants it authenticity from the Hindu perspective and whose emphasis on romance accommodates American values, emerges as the key mediating third culture around which the community applies the both/and model to wedding rituals. The both/and model uncovered here reinforces the community's identity as ethnic and American even as it confirms that success in America need not be bought at the expense of one's religious background and cultural heritage. Dr. Kavita Ramdya is an independent researcher in American Studies. For more information on Kavita and Bollywood Weddings check out her website at http://www.bollywood-weddings.com/Home.html.